Our giant Christmas gift bags are perfect for extra large gifts! These bags are large enough for children's bikes and other toys that are hard to wrap. 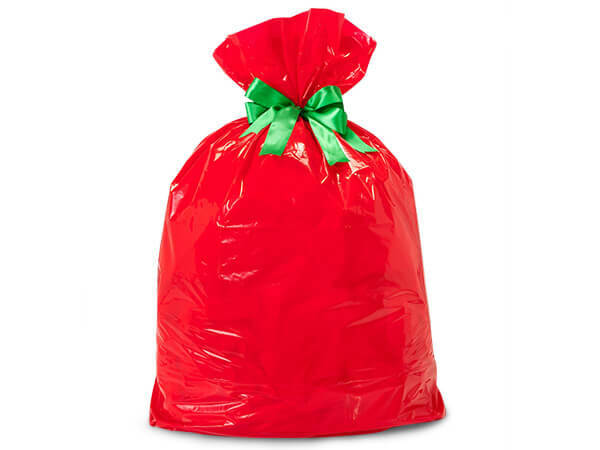 The big red bag resembles Santa's sack and is eye catching under a Christmas tree. The holiday dots bags are a mix of red and green polka dots and is very festive. These bags are opaque and you cannot see the gift through the bag.